If you want to bring a wide smile on the face of your loved one, a bobble head surely work effectively. This gift is a very unique item to commemorate any kind of special occasion such as wedding, birthday, anniversary etc. It is one of the special ways to show one’s gratitude by gifting a pair of polymer clay dolls to person who is very close to the heart. The option of ordering custom polymer clay dolls is just amazing! One can choose the body shape according to his/ her own wish and can send photographs to be fitted on its face as desired. These polymer clay dolls are usually built with durable materials that last for a lifetime. For the newly married couple, it may work wonders into their lives. If you are thinking about to get the bobble head for the next coming occasion that is very special for your loved one, then you can simply place your order with the online companies which are easily accessible. There are many people who get the bobble head and gifted them to their parents, friends, loved ones, they found it very hilarious and adorable and the best gift ever received! These are very cute gift that you can offer to someone. The bobbleheads are nothing they are just an over-sized head that bobs up and down with the small body sculpture. 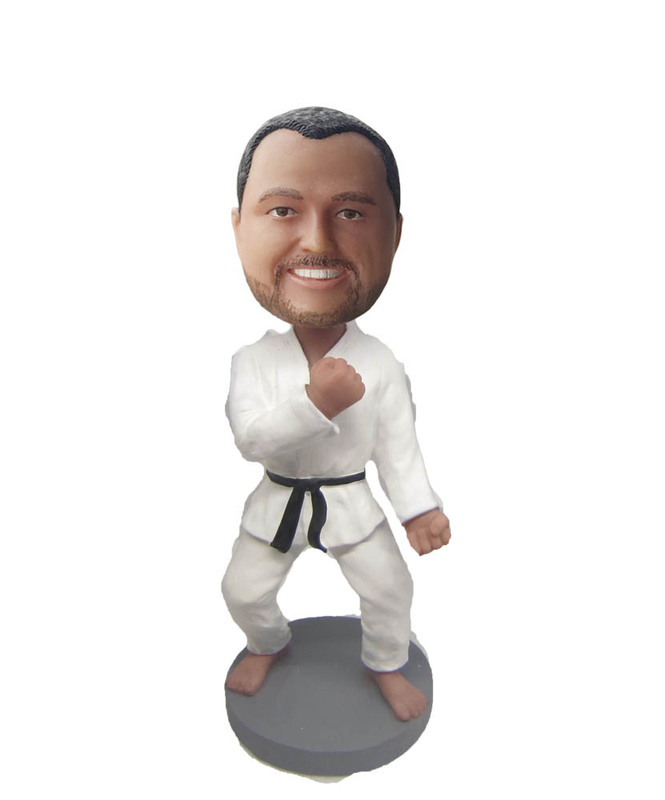 There are many companies who are manufacturing the customized bobble heads in which they design the face like yours. These personalized bobble heads are made from computer generated 3D models that are based on images submitted by the person buying them. There are many ranges like you can choose for male and female figurine. If you are planning to offer your beloved a gift that can make her smile then there would be no the best gift that can exist other than the custom bobblehead dolls. These are great fun and can be great mementos for loved ones to show your care and make them happy. The leading companies will make to look just like the person in the photo and hence bear resemblance to the person in real life and they come in great themes too. With the bobble heads, it can make any celebration grand and fill more excitement.One can browse the sites for its availability. The customers can also select the color of the eyes, clothing style, body style and other features as well. The customer can preview and modify their dolls beforehand, before going to the final manufacturing process. Some companies offer attractive couples and family bobble heads too.